Pain management specialists Drs. Richard Bundschu and Gennady Gekht, of the orthopedic, sports medicine and pain management practice Coastal Orthopedics, recently led a course for physicians on spinal cord stimulators at Tampa's Center for Advanced Medical Learning and Simulation. 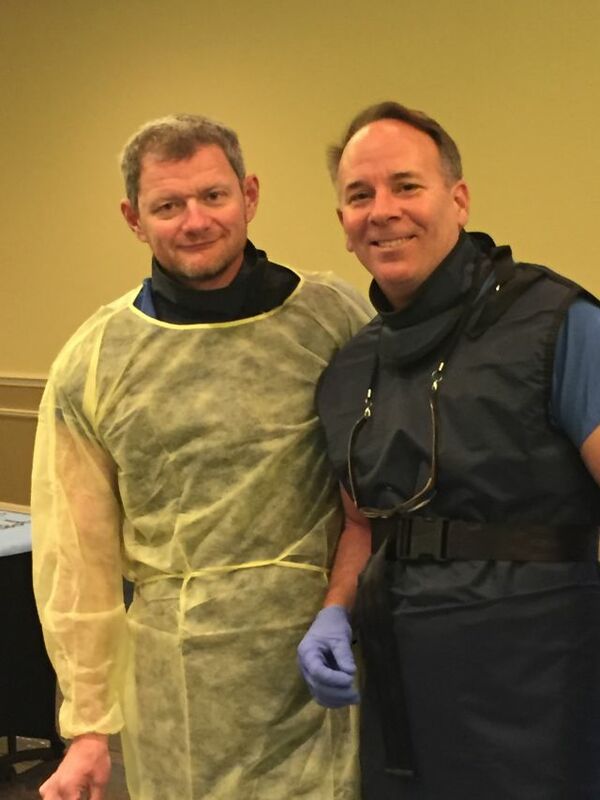 In the cadaver course sponsored by Nevro Corporation, a leader in the field of spinal cord stimulation, Bundschu and Gekht taught around 20 physicians how to insert spinal cord stimulators. The stimulators, which are surgically placed under a patient's skin to send a mild electrical current to the spinal cord, can help treat chronic pain. Coastal Orthopedics is one of only six locations selected nationally to participate in a Nevro study related to neck and upper extremity pain.